http://civic-forum.eu/english/european-citizenship-awards-its-your-time-to-play-online-votes-are-openAfter an intense debate and more than 30 applications received, the jury members of the European Citizenship Awards selected four nominees in each of the three categories. 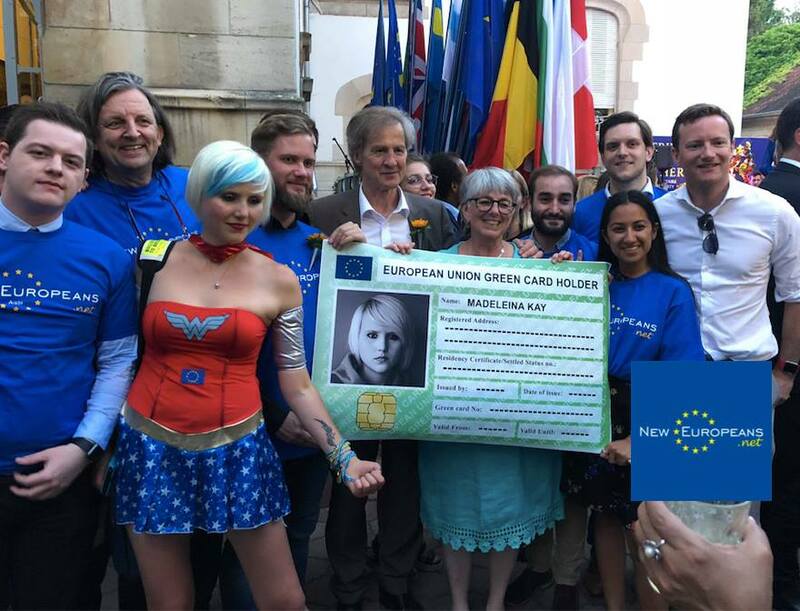 The European Citizenship Awards 2018 is a joint initiative between the European Civic Forum and Volonteurope, two European networks which promote active citizenship and recognition of the importance of social justice to the cohesion of communities across Europe. The Awards celebrate the democratic and civic engagement of individuals, organisations, citizens’ groups and social enterprises. They recognise innovative initiatives and contributions which give real substance to European values, create ownership of public space and improve the lives of their communities in terms of democracy, social justice and universal access to rights. Here are the nominees. It is now your turn to participate and help them win the Award! How? Simply select your favorite initiative, volunteer and social enterprise below and submit your answers! SWANS INITIATIVE (website) is a volunteer group that organises career and leadership seminars for high potential female university students from immigrant families and Women of Color. 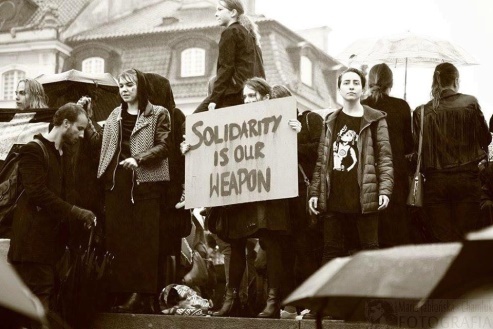 Consisting of five women from such backgrounds, it is the first organisation in Germany supporting this important and oftentimes overlooked community. Their goal is to promote a more adequate representation of these highly qualified and dedicated women in the workplace in accordance with their competences and skill sets. German Chancellor Angela Merkel awarded the Initiative a certificate for their accomplishments as Startsocial-scholarship holders. MESSAGES OF DIVERSITY: BEING OPEN FOR UNKNOWN CULTURES (to the website) Diversity and interculturality is everywhere and is part of our normal life. In order to make this visible, people living in Passau (locals, Germans from other cities, migrants, and refugees) were asked and photographed about their intercultural experiences and relationships, the personal gain associated with them and the openness towards « strangers » in their lives. FLOARE DE CIRES LTD. (see Facebook page here) In Moldova, young people face difficulties in transition from education to the labor market. When Elena Tamciuc received her first salary at the age of 31 five years ago, she broke down and cried. Elena is today one of nine employees with disabilities, who are working for Floare de cires Ltd − a social enterprise created by Eco-Razeni Association in December 2012 in Razeni. Floare de cires offers an extensive training program empowering women and men to undertake what is often their first “real job” in the catering services. PROPULSION – LE GARAGE SOLIDAIRE (to the Facebook page) Propulsion is a garage workshop geared towards solidarity and mobility. It is based in Agneaux, Normandy, France. Its particularity is to be both a non profit enterprise and an association, promoting professional and social insertion while offering traditional garage services to everyone, with a special focus on financially fragile public through lower prices. Its employees are long term unemployed and are helped towards achieving their career goal of becoming mechanics. AMAL LEARNING (to the Facebook page) is a Spanish registered NGO that provides free online one-to-one language classes to refugees and people affected by conflict or fleeing persecution, helping them rebuild their lives. Its innovative approach brings together teachers and students. They are connected and the classes are delivered over the internet. This online community allows the teachers to reach out, connect and give support to refugees from their own homes. Also, teachers and refugees learn about each other cultures, creating a two-way exchange. ECHO FOR REFUGEES (to the Facebook page)ECHO for Refugees is a mobile library and education center for teenagers and adults that is open to all. It operates in Athens, Greece visiting refugee camps, community centres and locations around the city, loaning books and giving refugees and asylum-seekers access to online courses and language learning materials. ECHO is innovative in the way that it brings communities together – not only different communities of asylum-seekers, migrants and refugees, but Greeks, especially those that have been hard-hit by the major economic struggles. FOTEINI KALPAKIOTI created the HARTS in 2016 and implemented the initiative voluntarily for women refugees in empowering them through their skills and capabilities in order to support themselves. It is an ongoing program which over 150 women have passed through till now. Foteini also helped launching MATCH, a social inclusion project through sport. MATCH became one of the most effective social inclusion initiatives for youth. Sport and athletics are the tools for active participation of youths by far the best for their social inclusion. DONALD DERVISHI (see the GoFundMe page) is a 32 year old teacher and school director in the rural mountain area of Southern Albania. Witnessing the horrible material conditions of the school he was sent to, Donald dedicated himself to building an entirely new school for these five children and their teacher. Soon after, together with the teacher, Borsion Spahu, Donald applied for and was accepted onto a national quiz show, « Millionaire », due to their promise to dedicate all earnings to the construction of the school. Not only is his volunteering sustainable for the future, in that he will continue to dedicate his time and build networks around Europe to support his efforts in school reconstruction and rehabilitation, but it has a tremendous impact on Albania today. COLIN MASON 74, began volunteering with Volunteering Matters’ RSVP (Retired and Senior Volunteers Programme) in 1998 after he retired, where he began as an office-based volunteer. With a vast variety of activities covered by the programme, it is essential that those involved have a method of sharing their news, ideas and best practice with others undertaking similar volunteer led activities. He works independently and often remotely at home, devoting hours each month to assembling FOCUS, which combines up to date news and updates from RSVP projects. In 2017 over 8,000 older people volunteered with RSVP, with over 50,000 people benefitting from these projects. KHEDI ALIEVA is a refugee from Chechnya. She was a pedagogue in the country of origin. She has lived in Gdansk (Poland) for 5 years. From the beginning of her stay in Gdansk she started voluntary activity. She created a children’s youth artistic group that presented the culture of the Chechen community in Gdansk. Then she became involved in organizing self-help groups for migrant women. As a representative of immigrants in Gdansk she participated in creating the Model of Immigrant Integration and Model of Equal Rights in Gdansk. The impact of Khedi Alieva’s volunteering activities impact affects many refugee’s life, relevant to weak points of the system of refugee integration in Poland.